This is my first Robin sharma book. I always wanted to read self -help books but something would stop me to take the pilot step. When I read the blurb , thought to give a shot as it sounded more of fiction kind than self help. I wouldn’t t say that I am disappointed, it was good read but definitely not a great read. Few chapters were really noteworthy . As a representation model it was fun to go through but with the detailing it lost the charm as it proceeded. The first few chapters had quotes and phrases of other genius people. Believe me I liked the first 100 pages as it inspired me to read further with all those quotes. The homeless man seemed to be more inspiring than Mr.Riley. The book basically focuses on enhancing your potential and productivity throughout the day and even through out your life. The book exhibits the models and practice to follow which helps to overcome our fear and insecure thoughts. These all could be done by waking up when the world is sleeping, the ultimate 5AM .To prepare yourself to face the day ahead more efficiently. Our subconscious mind always falls prey to the society pride. We do what the society expects from us. The book perfectly gave the insight about our addiction. The book went on with too much of concepts. It’s not just waking up by 5AM so you have lot to fuel your mind with practices and techniques. But these facts concentrated more on to the management sector or business people. At times I felt this is not for the common people. I found the second half of the book to be bit dragging and too detailing. May be this book is not for everyone but for only who believes in 5AM. 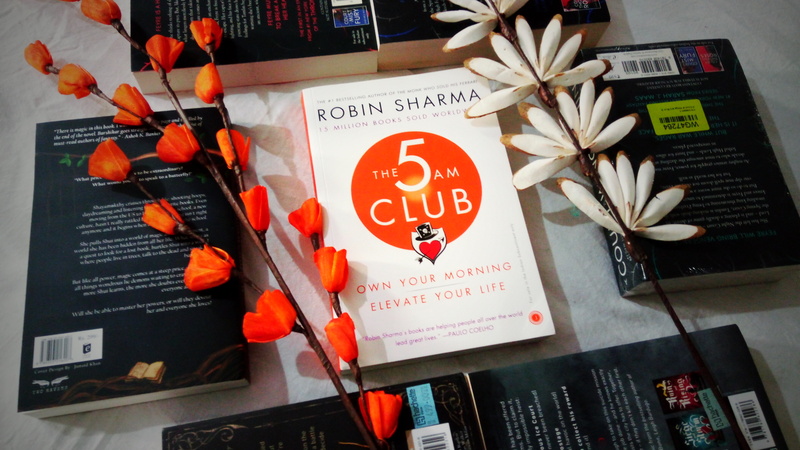 Overall ” The 5AM Club” is fascinating at few places and instances but fails to get hold of us completely through out the process.